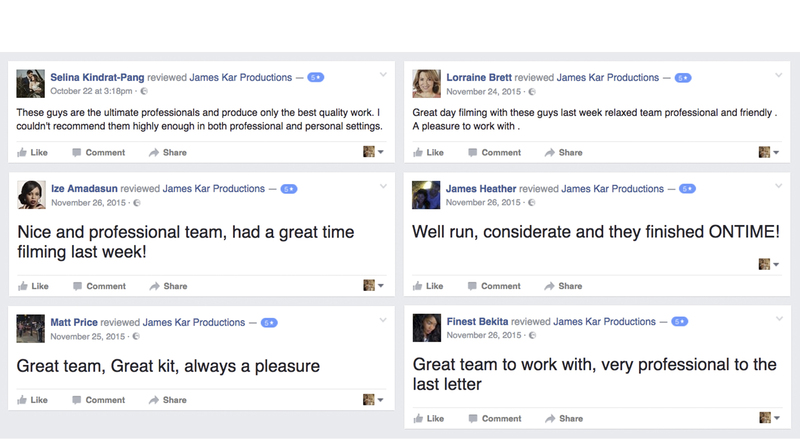 James Kar Productions was created by award winning cinematographer and photographer James Kar and award winning producer Samantha Grieves. Following the success of previous years, James and Samantha have expanded their team to include a collective of specialised filmmakers. Together they produce innovative corporate and commercial films. Whilst expanding the film side, photography is still a core part of James Kar Productions. The beauty of film, whether to entertain or to educate, is that it creates a story to make the audience feel connected to the subject. We use this art of story telling to create a journey. Whether it is a commercial or corporate film we treat it with the same integrity. Photography allows you to capture specific moments in time. With creative lighting you can also bring everyday objects to life. Whether a person or a product, we like to capture emotion/energy in our images. If you have a project you would like to discuss or a general enquiry, we would love to hear from you. Simply drop us a line at production@jameskar.co.uk and a member of our team will get back to you as soon as we can.